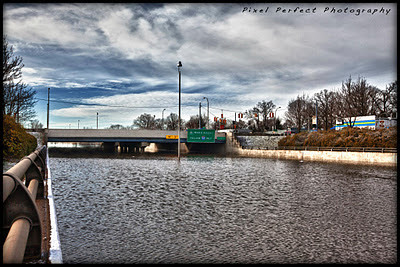 A portion of the Southfield Freeway flooded recently because of the tremendous amount of rain that Detroit has received over the past couple of days. 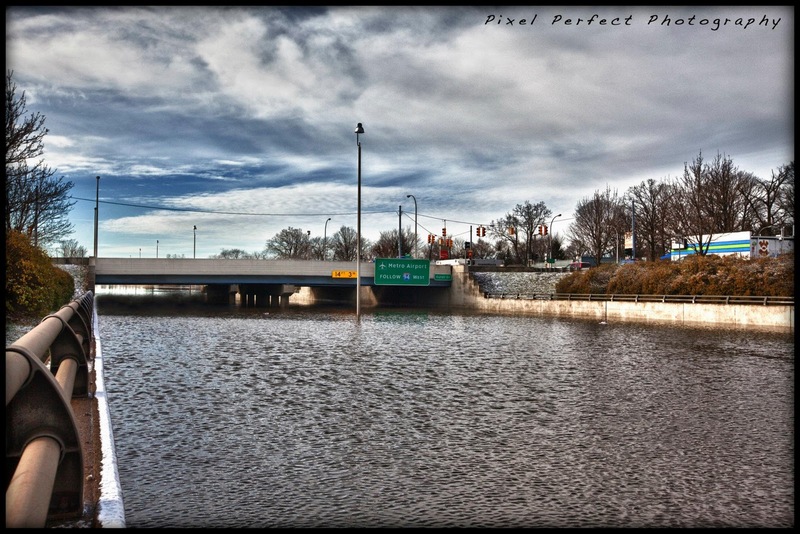 Lance Rosol of Pixel Perfect Photography managed to snap this photograph of what is now the Southfield River. It shows the Southfield Freeway, near Outer Drive, which is approximately 4 miles south of the Warrendale neighborhood. 6526 Evergreen was burglarized on Saturday, November 26 during daylight hours while the homeowner was not home. According to witnesses, the family's stove and other household items were taken by three black males who drove a black GMC Envoy with the license plate number CGC 1239. 6510 Evergreen was also burglarized during the daylight hours of Tuesday, November 29 while the homeowner was not home. Jewelry and other items were taken in this crime by three individuals who match the description from the crime three days earlier. All of this information has been shared with the Detroit Police Department. Residents are asked to be on the look out for three black males in a GMC Envoy, license plate CGC 1239. If you see them, please telephone the Detroit Police Department immediately. I've been thinking for quite some time about what to do with all of the trash that gets illegally dumped in the Warrendale neighborhood since the City of Detroit doesn't seem interested in doing anything. It occurred to me that someone could actually build a boat out of the stuff that gets dumped here. 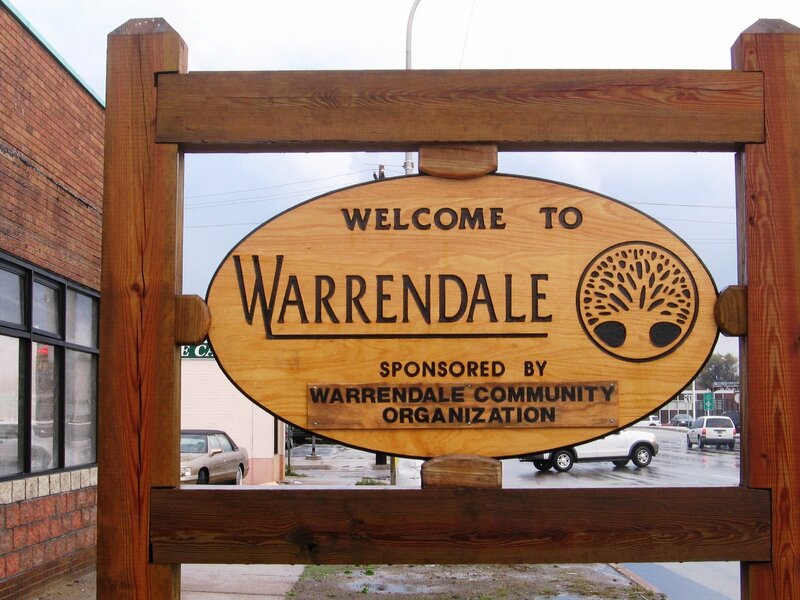 I started a group on Facebook a couple of years ago for the Warrendale neighborhood. When I started it, it was primarily a vehicle for organizing a regular dinner party that I had with some friends at Gracie See. Since then, it has taken on a life of its own and now encompasses just about anything to do with life in the Warrendale neighborhood - either today or memories of bygone eras. Anyway, I just wanted to mention that this group now has more than 1,100 members and is still growing. 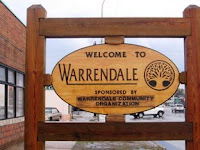 If you're on Facebook and you're interested in Warrendale, please check the group out here. 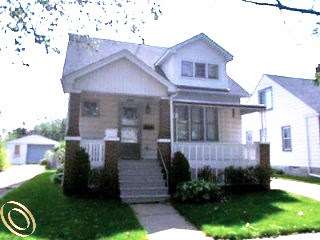 6490 Brace St. is a 4 bedroom, 2 bathroom Cape Cod home that is available in Detroit's Warrendale neighborhood. This 1,036 square foot home was built in 1928 and is in move-in condition today. The stove and refrigerator are both included with the home. This home is represented by Remerica Premiere. The asking price for this lovely single family detached home is only $39,500. 6490 Brace St. is your Featured Place to Live in Detroit's Warrendale neighborhood for this week. The Warrendale (Detroit) Blog now has a page on Facebook. If you "like" this blog's page, the posts will appear in your news stream. The Warrendale (Detroit) Blog's page is available here on Facebook. This blog in your Facebook news stream. It's your Tip of the Week. A little over a year ago, when Warren Evans was chief of police, the Detroit Police Department had a 24 minute response time for priority one calls. More importantly, their response time had improved by 29% from where it was a year earlier. Now, however, things are different. Warren Evans has been replaced as chief of police by Ralph Godbee. Chief Godbee is a fine individual, but he is someone who has spent almost his entire career in administrative posts within the department as opposed to being on the front lines fighting crime on a daily basis. I tried not to hold Chief Godbee's lack of operational experience against him. However, it is becoming clear that he is simply not up to the task of leading one of the largest police departments in the nation. 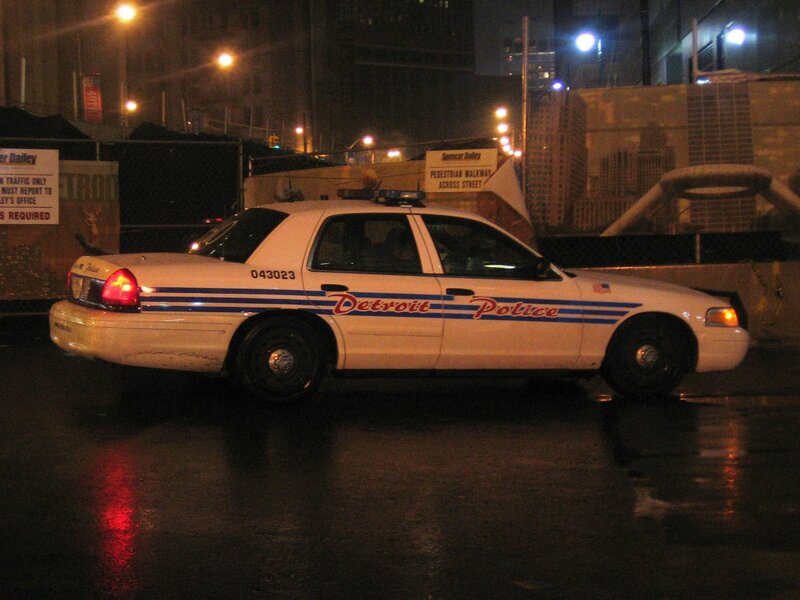 Even though the department's budget is just as large, the Detroit Police Department's response time has now climbed to an average of almost 52 minutes, according to statistics released by the City of Detroit. The national average for police response time in major cities, by the way, is only 7 minutes. 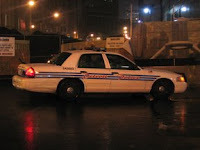 A review of police statistics shows that the Detroit Police Department currently has the largest budget of any police department in North America on a per resident basis as well as the worst response time of any urban police department in the industrialized world. At 52 minutes, this means that the Detroit Police Department's response time is 113% worse than it was when Warren Evans was chief of police. That is a dramatic change for the worse in such a short time period. To say that this is unacceptable does a disservice to the word "unacceptable." If the safety of Detroiters were truly a priority for Mayor Dave Bing, he would demand immediate changes within the leadership of the Detroit Police Department. Mayor Dave Bing gave an interview with the Detroit Free Press, which was published yesterday. 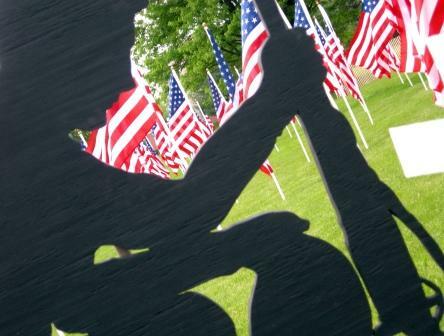 He proclaimed, "It's time to go to war (against the City Council and the labor unions)." If there was any doubt that Mayor Bing was no longer in full possession of his faculties, I believe this puts it to rest. The man has simply lost it. Five months ago, the City Council cut this City's budget by far more than what Mayor Bing said was necessary. He even went so far as to criticize the City Council for cutting the budget as much as they did. That, of course, was five months ago. The City of Detroit today is on the verge of running out of cash, in spite of the spending cuts that Mayor Bing recently argued weren't necessary. If the deeper cuts that were proposed by Council President Pro Temp Gary Brown and Council Member Ken Cockrel were indeed carried out last summer, we as a community would not be in the financial bind that we find ourselves in today. As for the plan that Mayor Bing proposed last week, the argument that it doesn't go far enough to address our current problems isn't one of politics. Instead, it's math. Mayor Bing's plan does not cut enough to compensate for the shortfall that he insisted five months ago would not happen. As for the labor unions, they have made concession after concession over the past several years. Civilian employees of the City of Detroit today make less, as measured by their total compensation package, than their private sector counterparts. Mayor Bing asked them last week for yet another round of concessions. However, he hasn't offered anything to assure them that they won't be asked for even more concessions in a few months. Mayor Dave Bing may well be on the verge of going to war with the City Council and Detroit's labor unions. Unfortunately for him, though, he doesn't have very much to fight with. As the City of Detroit's budget crisis continues to deepen, and hope for its resolution begins to fade, I asked Detroiters to send me their suggestions for what we should call this crisis. After all, we need to have some way to differentiate between the current budget crisis and all of the other ones. 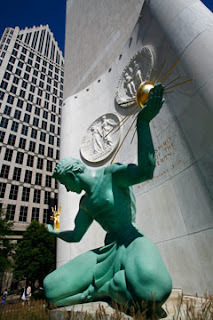 As the City of Detroit finds in the midst of yet another financial crisis, I share a few details that everyone probably should know - and offer my usual sarcastic commentary of the whole situation. In advance of the holiday season, I thought it would be a good idea to pass along a few tips help shoppers beware of cyber criminals and their aggressive and creative ways to steal money and personal information. 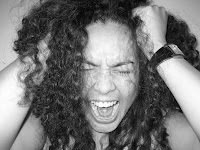 Scam artists use many techniques to fool potential victims including fraudulent auction sales, reshipping merchandise purchased with a stolen credit card, sale of fraudulent or stolen gift cards through auction sites at discounted prices, and phishing e-mails advertising brand name merchandise for bargain prices or e-mails promoting the sale of merchandise that ends up being a counterfeit product. Shoppers should be cautious and not provide credit card numbers, bank account numbers, or other financial information directly to the seller. 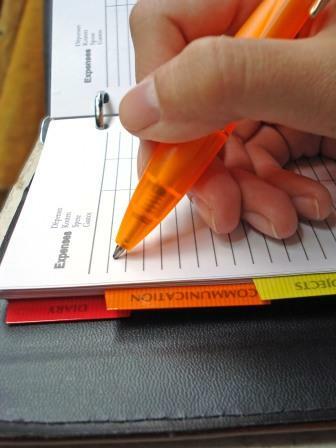 Fraudulent sellers will use this information to purchase items for their scheme from the provided financial account. Always use a legitimate payment service to protect purchases. The safest way to purchase gift cards is directly from the merchant or authorized retail merchant. If the merchant discovers the card you received from another source or auction was initially obtained fraudulently, the merchant will deactivate the gift card number, and it will not be honored to make purchases. 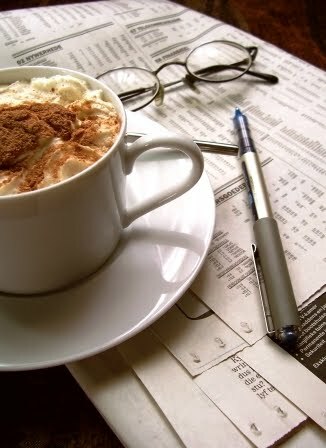 Be leery of e-mails or text messages you receive indicating a problem or question regarding your financial accounts. In this scam, you are directed to follow a link or call the number provided in the message to update your account or correct the problem. The link actually directs the individual to a fraudulent Web site or message that appears legitimate; however, any personal information you provide, such as account number and personal identification number (PIN), will be stolen. Another scam involves victims receiving an e-mail message directing the recipient to a spoofed Web site. A spoofed Web site is a fake site or copy of a real Web site that is designed to mislead the recipient into providing personal information. Consumers are encouraged to beware of bargain e-mails advertising one day only promotions for recognized brands or Web sites. Fraudsters often use the hot items of the season to lure bargain hunters into providing credit card information. The old adage "if it seems too good to be true" is a good barometer to use to legitimize e-mails. Black Friday has traditionally been the "biggest shopping day of the year." The Monday following Thanksgiving has more recently (2005) been labeled Cyber Monday, meaning the e-commerce industry endorses this special day to offer sales and promotions without interfering with the traditional way to shop. Scammers try to prey on Black Friday or Cyber Monday bargain hunters by advertising "one day only" promotions from recognized brands. Consumers should be on the watch for too good to be true e-mails from unrecognized Web sites. Along with on-line shopping comes the growth of consumers utilizing social networking sites and mobile phones to satisfy their shopping needs more easily. Again, consumers are encouraged to beware of e-mails, text messages, or postings that may lead to fraudulent sites offering bargains on brand name products. 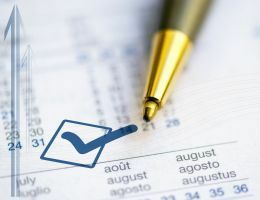 In addition, if you receive a request for personal information from a business or financial institution, always look up the main contact information for the requesting company on an independent source (phone book, trusted internet directory, legitimate billing statement, etc.) Use that contact information to verify the legitimacy of the request. These on-line holiday shopping tips are your Warrendale Tip of the Week. The City of Detroit once again finds itself in the midst of a financial crisis. This time around, it faces the distinct possibility of running out of cash as early as February 2012. Mayor Dave Bing delivered a speech last week in which he outlined his ideas for keeping Detroit afloat; one which most observers have called inadequate at best. The City Council is currently working on there own proposal. In the coming days and weeks, it is likely that Detroiters will see numbers, spreadsheets, and graphs fly through the news media as elected and appointed officials - as well as the various labor unions and other interested parties - offer competing plans to find the proverbial light at the end of the tunnel for the Motor City. Many of the ones that I have seen thus far seem to be written in accordance with the old college adage, "If you can't dazzle them with brilliance, baffle them with baloney." As I think about all of this, I have come to the conclusion that there are ten things that every Detroiter should know about our community's financial condition as well as the politics that surrounds said condition. Officers at the Detroit Police Department's Northeast District appear to have staged a sickout last Friday in an apparent protest of Mayor Dave Bing's call for as many as 1,000 layoffs as well as cuts to police pay and retirement benefits. Detroit police officers, one should note, currently have a pay and benefit package that is well below national averages, even before any additional cuts are made. Again, this was in the Northeast District, which does not include the Warrendale neighborhood nor any of the neighborhoods that immediately border it. However, I believe that all Detroiters should be concerned about this because, as the City of Detroit's financial condition continues to deteriorate, there is a distinct possibility that we could see more actions like this in the not so distant future. Those future actions, of course, could possibly effect the Warrendale neighborhood directly. I went to Campus Martius Park in downtown Detroit for the lighting of Detroit's official Christmas Tree last night. For the past several years, this has been the start of the holiday season for me. Come along and see all that was there. I felt frustrated that the news media kept talking about this infamous report from Ernst and Young, which supposedly showed that the City of Detroit was about to run out of cash, but the report itself was never available. Therefore, earlier this afternoon, I filed a request for a copy of it under the Michigan Freedom of Information Act. It's unfortunate that anyone has to go through this trouble to get basic information about how one's local government is doing. However, this is the City of Detroit that we're talking about. Transparency has never been a hallmark of its operations. Of course, one of the great ironies of the situation is that, after filing this request and talking about it on Facebook and Twitter, the Bing Administration finally made the report public while this video was still uploading. I'll have more on the report tomorrow. Mayor Dave Bing of Detroit is scheduled to address the public tomorrow evening regarding the City of Detroit's financial status. As someone who has been covering the City of Detroit's budget since before he was Mayor, I have 3 questions for him that I hope he'll be able to answer. The SS. Peter and Paul Parish Concert Series (7685 Grandville) continues with Stacey Mason and Johnny Kash as they perform a concert for Violin and Organ. There is no admission charge and all are welcome! Stacey Mason is a graduate of the University of Michigan School of Music where she studied voice and violin and earned her Bachelor of Musical Arts Degree in Violin Performance and Communication. Ms. Mason is a violinist with The Birmingham/Bloomfield Symphony. She has also performed with the Plymouth Symphony and The Dearborn Symphony, as well as several small ensembles throughout Metropolitan Detroit. 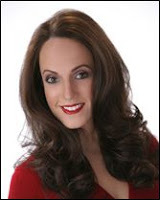 She was a vocal soloist with the Livonia Symphony, the Downriver Community Voices, and was recently featured with the Southern Great Lakes Symphony singing "Songs from The Auvergne" under the direction of Charles Greenwell. Ms. Mason has been a music educator for over 20 years and currently maintains a private violin studio. She is a liturgical musician, choir member, and cantor at St. Regis in Bloomfield Hills and is the Director of Music for the Chapel at St. John in Plymouth. More information can be found at www.staceymason.com. Johnny Kash attended Wayne State University in Detroit, studying organ with Ray Ferguson and Gale Kramer. He earned a Bachelor of Music Degree in Organ Performance in 2000 and a Master of Music Degree in Organ Performance in 2005. Mr. Kash has served as the Director of Music and Worship for Ss. Peter and Paul Roman Catholic Church in the Warrendale neighborhood since 1999. In addition to overseeing the Music Ministry at Ss. Peter and Paul, he also coordinates their yearly concert series, which he founded four six ago, that showcases local, national, and international musicians. More information can be found at www.johnnykash.net. The next Friends of Rouge Park meeting will next meet on Wednesday, November 16 from 6 - 7 p.m. at the Don Bosco Center (9357 Westwood St.), which is approximately one half of a mile north of the Warrendale neighborhood at W. Chicago. The group will discussing the planned controlled burn of the Rouge Park Prairie, which is at the southwest corner of Joy Rd. and Outer Drive. This controlled burn will happen Spring 2012 and is part of an on-going effort to maintain the habitat. They will also continue their discussion of the development of a master plan for the future of Rouge Park. Everyone who is interested in the future of Rouge Park is invited to attend this meeting. The Los Angeles Times reported in their travel section over the weekend that Detroit is evolving into a haven for artists. I ignored this story when I first saw, because it doesn't really seem like news. However, I've since seen so many people post it on Facebook and talk about it that I feel like I can't really ignore it any longer. Here's the deal as I see it. Of course, even though the focus of my blog is the Warrendale neighborhood, I visit pretty much every corner of Detroit on a fairly regular basis. Well, I'll be charitable and say that it's another reminder about the current state of journalism in America. But, hey - thanks for the coverage anyway. Please join the Warren Avenue Community Organization on Thursday, November 17 6 - 7:30 p.m. at NFL YET Boy's and Girls Club (16500 Tireman). Please enter via the east entrance to the building. This is a very important meeting. 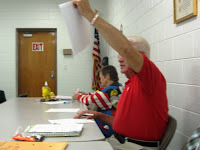 They will nominate and elect officers for the 2012 - 2014 term. I posted last month about how the rest of the country could learn a few things about the way in the Detroit Police Department and other law enforcement agencies in Michigan responded to the Occupy Detroit protests. Prior to today, they had consistently showed a remarkable amount of restraint and avoided the kind abuse that not only violated the Constitutional rights of the protesters and impugned the reputation of law enforcement officers everywhere, they simply added fuel to the protests themselves. Now, however, I fear that I may have praised them too soon. According to a note on the Occupy Detroit Facebook page, the City of Detroit has ordered that Grand Circus Park be closed beginning at 10 p.m. This park, of course, is the encampment for the Occupy Detroit protesters. It is also a location where other protesters have camped out over the years, without any harassment from the local authorities. I fear that Detroit might be on the verge of repeating the tragic mistakes that Boston, New York, Oakland, and other major American cities have made in recent weeks. I hope that I'm wrong, but I fear that I am not. I will post more on this situation as it develops. Update @ 9:08 p.m. - In one of the most abrupt about faces in bureaucratic history, the City of Detroit has reversed itself within hours of issuing its order for the Occupy Detroit campers to leave Grand Circus Park. Instead, they have issued a formal permit that gives them explicit permission to camp in the park until November 14. Occupy Detroit originally asked for permission to stay in the park until November 29. It is not clear if the protesters will leave on November 14 or not. One of the most frequently repeated complaints about life in Detroit that I hear - particularly from members of the news media - is that there's no place to shop for groceries here. They argue that everyone has to go to suburbs. I do my best to debunk this myth by taking you on a stroll through one mile of the Warrendale neighborhood to look at all of markets, bakeries, and supermarkets. This, of course, is an updated version of a similar video that I produced last year. It has even more shopping options in it. Plus, the production qualities are better since the last one was done with a cheap cell phone. With 19% of precinct reporting, Proposal C is getting a 51% "yes" as of this moment. The night is still young. 81% of precincts still have to report. Update @ 10:19 p.m. - With 45% of precincts reporting, Proposal C is now getting a 59% "yes" vote. Update @ 10:39 p.m. - With 57% of precincts reporting, Proposal C is now getting a 58% "yes" vote. Update @ 10:58 p.m. - With 69% of precincts reporting, Proposal C is now getting a 59% "yes" vote. Update @ 11:10 p.m. - With 86% of precincts reporting, Proposal C is now getting a 58% "yes" vote. Update @ 11:20 p.m. - With 99% of precincts reporting, Proposal C is now getting a 58% "yes" vote. The polls close in a few minutes in Detroit. I will have much to post about once results are available. Today, of course, is Election Day in Detroit. This is a short video blog that I made at my local polling place in the Warrendale neighborhood. Mayor Dave Bing says that the City of Detroit will need an "emergency manager" and he would like to be it. I ask: if he can't do his current job, what makes him think he would be able to handle something even more complicated? I am thrilled that the Warrendale (Detroit) Blog has been nominated for the 2011 NATPE Digital Luminary Award. My thanks go out to the National Association of Television Program Executives and everyone on their award committees. It has been a fun and rewarding experience to create content about the Warrendale neighborhood for the past six years. As the technology has improved, plain text has evolved to include photographs and, over the past couple of years, video as well. All of it has been part of telling a compelling story about one of great neighborhoods in Detroit. I look forward to even better things in the years ahead. Tomorrow is Election Day. In Detroit, we will decide whether or not to adopt a new Charter for the City of Detroit, which contains tough new ethics and accountability standards. I hope to see everyone at the polls tomorrow. Less than 5 months ago, Mayor Dave Bing argued that a 4.8% cut in the City of Detroit's budget, which was proposed by City Council President Pro Tem Gary Brown, was impossible and, most importantly, it was unnecessary. Today, however, Mayor Bing tells us that a 1.9% shortfall will cause the City to run out of cash and require an emergency financial manager. Is it just me or does anyone else get the feeling that our esteemed Mayor is just making it up as he goes along? The Warrendale Community Organization will hold its monthly general membership meeting is this coming Monday, November 7 at 7 p.m. in the Sts. Peter & Paul Activities Center (7718 Westwood St.). Mayor Dave Bing told the City Council that he cannot explain why his Administration did not spend $9.2 million that it was given by the federal government to help low-income Detroiters weatherize their homes and lower their energy bills. The City of Detroit had to return this money because, after three years, it wasn't able to spend the money. If the Bing Administration spent that money the way it was intended, thousands of Detroiters would have lower energy bills. This, in turn, would have enabled them to spend their limited funds on other things that could help them climb out of poverty. If the Bing Administration spent that money the way it was intended, jobs would have been created; putting unemployed Detroiters to work doing these home improvements. Those jobs would have been temporary ones, but they still would've been jobs in a community were nearly half of its population is unemployed or underemployed. If the Bing Administration spent the money the way it was intended, our air and water quality would improve as thousands of homes began to use less energy. In fact, about the only people who gain anything from this, is that DTE will not lose any money now that thousands of Detroiters won't have lower energy bills. They will continue to be just as profitable as they've ever been. I suppose I shouldn't attempt to draw any conclusions from this. I mean, it's not like Mayor Bing has appointed former DTE executives to fill key spots in his Administration. And it would absurd to suggest that all of the campaign contributions that he received from DTE has had any impact in something like this. That, of course, is why I would never suggest such a possibility. Chief Ralph Godbee of the Detroit Police Department will present his third quarterly report to the community on Monday, November 7 from 6 - 8 p.m. in the Breithaup Career & Technology Center, which is just two miles outside of the Warrendale neighborhood at 9300 Hubbell. The public is invited to attend this meeting to discuss their concerns directly with our chief of police. The Michigan Department of Transportation will conduct workshop tomorrow, November 3 from 4 - 6 p.m. in the Community Room at the offices of the Grandmont Rosedale Development Corporation (19800 Grand River). This intended to help plan the pedestrian bridges that are an on-going part of the M-39 Corridor. I was do some field research for a client today and took my camera along with me to show a few off the beaten path things about the Warrendale area of Detroit. The Barack Obama gas station. Detroit is always full of surprises. This collection of oddities from around the neighborhood is your Cool Warrendale Thing of the Week. In my walk through Detroit's Warrendale neighborhood today, I talk about a couple of cool vacant homes that I came across as well as the largest pile of trash that I've seen in the neighborhood thus far that did not hold elected office. Chief Ralph Godbee of the Detroit Police Department would like to spend $2.6 million for gunshot-tracking technology that would enable his officers to respond much more quickly and accurately to any situation where shots were fired. I was skeptical of this technology from a California company called ShotSpotter, until I saw a demonstration of it approximately three years ago. Quite frankly, it works. Of course, before he can buy this technology, Chief Godbee needs approval from the City Council - and that's where the current problem is. Council President Pro Tem Gary Brown wants to spend the money to buy a police helicopter. The Detroit Police Department, after all, no longer has an aviation unit. Both helicopters and gunshot-tracking technology have a place in a modern police department. Technology like ShotSpotter fills a very specific void in enabling officers to respond faster and better to a situation where shots are fired. Helicopters are more generalized solution that enable improved performance to a wide variety of situations, which is important because not all threats to public safety involve firearms. As the City Council and Mayor Dave Bing weigh the pros and cons of this decision, I would like to remind everyone that there is a way in which we could have both helicopters that Councilman Brown wants and the ShotSpotter technology that Chief Godbee wants. Back in July, I sent Mayor Bing and others a letter in which I recommended a series of ways in which the City of Detroit could do things more efficiently without harming the services that it is charged with delivering. None of those proposals have been implemented nor, by the way, did Mayor Bing respond to my letter. If the Detroit Police Department were to eliminate the Office of the Deputy Chief of the Management Services Bureau, that would free up $8.3 million from the Department's annual budget. This along with the forfeiture money that Chief Godbee wants to spend would be enough to acquire and deploy ShotSpotter technology. It would also give us enough money to buy at least one police helicopter; re-establishing the Department's Aviation Unit. Plus, we would also have a few million left over to buy a couple hundred new patrol cars, hire more officers for patrol duty, or do any number of other things. And we would still have the Office of the Assistant Chief - Administration to oversee all of the Department's back office operations. I encourage the City Council and the Administration to knuckle down, put aside their differences, and find a way in which we can meet all of this city's needs.